COLUMBUS, OH — 28 July 2017 — The Board of Directors of the National Registry of EMTs announced today the appointment of seasoned national EMS leader and former NREMT Board Chair Drew Dawson as Interim Executive Director, following notification of the pending resignation of current Executive Director Severo Rodriguez. Mr. Dawson, retired Director of the National Highway Traffic Safety Administration Office of EMS, will begin work with the National Registry immediately, and will assume full responsibilities as the Interim Executive Director on September 1. Debbi Cason, Chair of the NREMT Board of Directors, stated "We are excited that Mr. Dawson, an accomplished and respected national EMS leader, will be joining us in fulfilling our mission as the Nation’s EMS Certification. The NREMT Board of Directors is delighted to work with him again." Executive Director, Severo Rodriguez, notified the National Registry of EMT’s (NREMT) that he is resigning effective September 1, 2017. After five years of a very demanding schedule, Dr. Rodriguez will be taking some time off and then pursuing other interests. The Executive Committee and Board thank Severo for his efforts and service on behalf of the NREMT. He will be assisting the Registry in transitioning until his resignation takes effect. Debbi Cason, Chair of the NREMT Board of Directors, affirmed "We will work to complete that search as quickly as possible while maintaining our focus on identifying an outstanding Executive Director for NREMT." The NREMT will immediately begin a nation-wide search for an Executive Director led by Dr. Bob Swor, with other members of the Board of Directors. Ms. Cason notes, "The National Registry’s national certification and program activities will continue un-interrupted while the advertising and selection is underway." Mr. Dawson, a Montana native and University of North Dakota graduate, was a volunteer EMT and the director of a volunteer ambulance service for over three decades. He served as Montana’s State EMS Director for over twenty years and as the President of the National Association of State EMS Directors. In 2003, Mr. Dawson transitioned from Montana to the National Highway Traffic Safety Administration (NHTSA) in Washington, DC, where he oversaw the Office of Emergency Medical Services and led the development and implementation of many national EMS programs and activities. Mr. Dawson retired from Federal service in October of 2015 and returned to Montana. Mr. Dawson has received numerous awards for his service to the EMS community. 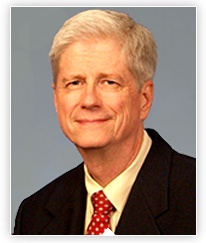 These include the Rocco V. Morando Award, Lifetime Achievement in EMS (NAEMT and NREMT); American College of Emergency Physicians, Outstanding Contribution in EMS; International Association of EMS Chiefs, Eagles Award; National Association of EMS Educators Lifetime Achievement Award; American Academy of Pediatrics, Meritorious Contributions to the Health and Well Being of Children, Youth and Families; and the National Association of EMS Physician’s Ronald D. Stewart Award for Outstanding Contributions to Prehospital Emergency Care.